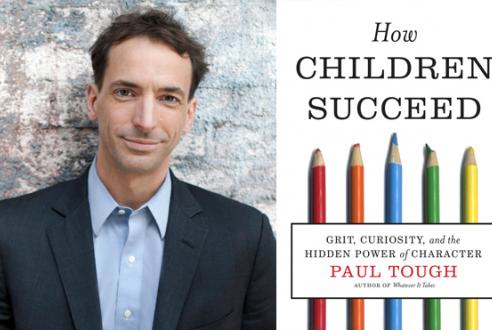 In his provocative new book, Paul Tough questions the test-taking, resume-building culture in America’s schools. Above: Is focusing so much on test-taking skills the wrong approach to helping kids succeed? Indeed, in Baltimore and other struggling public school districts, we have loaded kids with a lot of work, a lot of responsibility. As former New York Times reporter Paul Tough points out in his important new work, How Children Succeed: Grit, Curiosity and the Hidden Power of Character, the question of what to do about poverty, social mobility, inequality, and segregation has been rolled into the broad project of reforming education. Tough writes: “Something else has happened in the past decade or so that also helps explain why the poverty debate has disappeared: it merged with the education debate. Education and poverty used to be two very separate topics in public policy. There was one conversation about the New Math or Why Johnny Can’t Read. How Children Succeed is a book-length work to make the argument against what Tough calls the “cognitive hypothesis,” the widely held notion that most of us use to explain educational and social difference and the dominant model that drives much educational practice in Baltimore’s public schools and public schools across America. The cognitive hypothesis holds that success in school and in life primarily depends on the kind of abilities measured on a variety of standardized tests, ranging from IQ to those standardized measures that have become increasingly important in Maryland, like the Maryland Schools Assessment given to every third- and eighth-grader in the state and the High School Assessment, now required for graduation. 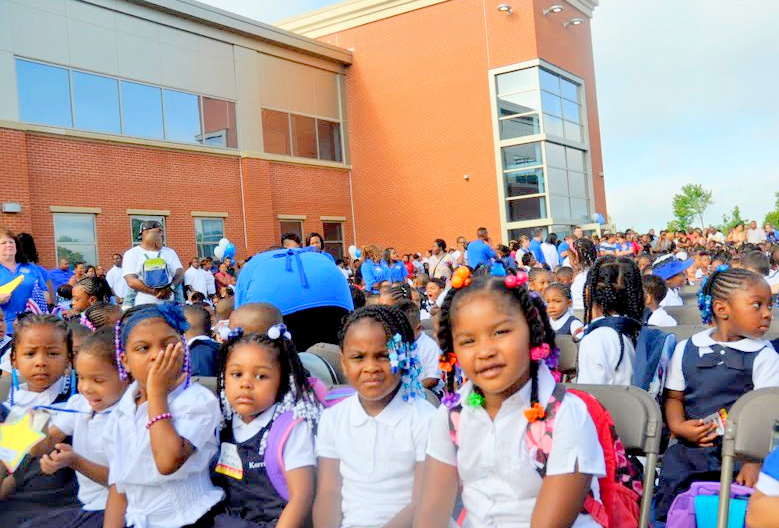 Once you begin with the cognitive hypothesis, schooling in a place like Baltimore begins to look a certain way. The thinking goes that kids in poverty don’t have enough books in their homes or don’t have Baby Einstein tapes playing. Or their parents don’t read to them, and they haven’t gone to the museum or watched enough PBS. From this assumption comes the conclusion that they come to school behind, with various deficits, and they’ll never catch up unless drastic measures are taken. The solution: prepare them for the test, drill the cognitive skills, fill their heads with facts and figures and all that they missed. Increase the school day and the school year. Let them catch up with those middle-class and rich kids. As a former Baltimore public school teacher and teacher of dropouts, ex-offenders and adjudicated young people, I can’t tell you how many times I have been brow-beaten by the cognitive hypothesis. “This is what is wrong with these students,” I have been told. “This is how you should and have to teach such kids.” Students themselves often come to believe the cognitive hypothesis as a measure of their ability and self-worth, policy makers and many service providers live by it. More, it’s not just poor families and their educators who have been seduced by the cognitive hypothesis. Tough describes the parents and educators of kids who go to schools like Gilman, Park, Friends, Roland Park Country, worrying that something is fundamentally is amiss. These kids become experts in test taking and resume building, but are lacking something more profound. And that ability to face and overcome adversity – to have “character” – is what Tough argues is more fundamental than our skill based educational model. To begin with this premise, says Tough, is to be forced to re-imagine our public schools, our private schools and even our social safety-nets. In the last decade, and especially in recent years, Paul Tough writes: “A disparate congregation of economists, educators, psychologists, and neuroscientists have begun to produce evidence that calls into question many of the assumptions behind the cognitive hypothesis. What matters most in a child’s development they say, is not how much information we can stuff in their brain. . . So for the rich and middle-class kids raised “where they failed at nothing,” the pedagogical need is to allow for genuine adversity and challenge. And for the kids who grow up in urban public schools districts across America the question is how do we counter the emotional harms and assaults of living in poverty that inhibit or overwhelm this whole constellation of non-cognitive skills. Much of How Children Succeed is the closely observed stories of researchers who have looked at everything from infant brain development to neuroendocrinology to adult psychology to determine where these non-cognitive skills originate and how they are disrupted or supported. Yet for all of that science jargon, Tough’s argument is not one of biological determinism. The non-cognitive skills are teachable and learnable through adulthood he argues. How Children Succeed is also filled with keenly rendered stories of actual children and how and why they have succeeded or not. Tough has specific proposals for how our schools, safety-nets, curricula and our public discussion might be altered by abandoning our commitment to the cognitive hypothesis and coming to understand how character develops. How Children Succeed is a provocative work that deserves to be widely read in Baltimore, particularly by those who speak abstractly about the work that needs to be done. – Michael Corbin teaches and writes in Baltimore.